Woman Eating Question Marks On A White Plate, Top View. Unknown Or Unredcognizable Food Concept. 免版權照片，圖片，畫像及圖片庫. Image 32149240. 版權商用圖片 - Woman eating question marks on a white plate, top view. Unknown or unredcognizable food concept. 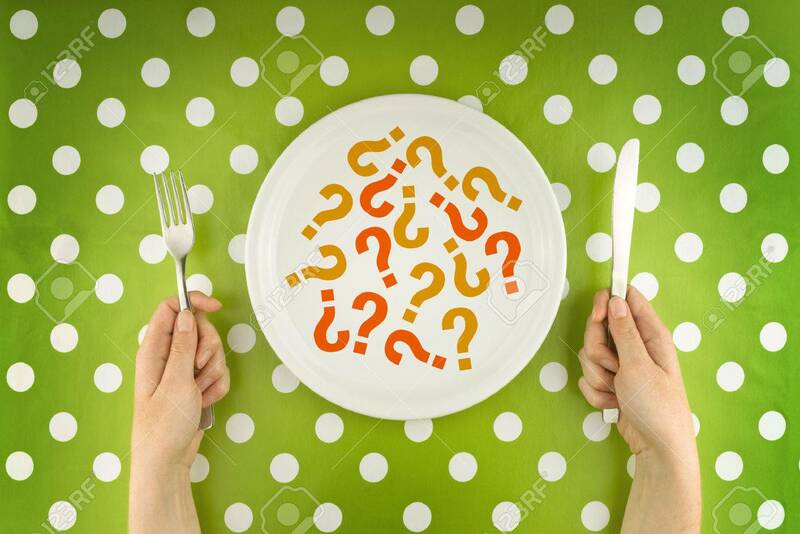 Woman eating question marks on a white plate, top view. Unknown or unredcognizable food concept.